These two letters were written by Pvt. Frank Fletcher Rice (1847-1881) of Springfield, Windsor County, Vermont. Enlistment records state that that Frank enlisted at age 19 in September 1862 in Co. E, 16th Vermont. He mustered out of the service in August 1863. When the census taker came to the household of book dealer and publisher Daniel Rice (1808-1888) and Maria P. Munn (1820-1912) of Springfield in June 1860, he enumerated Frank F. Rice as a 12 year-old. Other children of the household included Ellen Sophia Rice (1844-1864), Florence Minnie Rice (1853-19xx), and Arthur Frederick Rice (1856-19xx). Assuming the census was not mistaken in recording the children’s ages, Frank would have only been 14 years old (rather than 19) when he enlisted in the 16th Regiment. This would have been an incredibly tender age for a foot soldier. A biography of his father gives Frank’s birthdate as 12 July 1847 which would have made him slightly north of 15 when he enlisted in the 16th Vermont. The first letter was written late in 1862, only two months after Frank’s enlistment in the 16th Vermont. The second letter was written after the war was over though Frank was clearly still in the service but apparently no longer in the same regiment. I cannot find a service record for Frank other than the 16th Vermont so I can’t be certain which unit he was in. He claims that he marched from Bladensburg, Maryland to Clouds Mills, Virginia so it would suggest he was still in an infantry unit. I could not find any Vermont regiments ordered to Louisville in June 1865 — only Wisconsin and Minnesota regiments. I received your letter on Tuesday and I should have written before but the next day this company and five others of the 16th had to go 4 miles out on picket ¹ and did not get back until last night, but we did not have half so hard a time as I expected to have. But I had a better time than the rest for Tom Sexton ² and I were stationed at a house to keep the pickets from stealing the chickens and all we had to do was to sit in the door yard and crack walnuts. The house belonged [to] a man by the name of Mason ³ but he — being a Rebel — went to richmond and left his house and his property, and then a regiment of New York soldiers went in to the house and broke all the windows out and smashed things up generally. There is a family of “poor whites” living there now. The family consists of a man and his wife, and six white-haired children and about a dozen dogs. We expect to stay here all winter. They have commenced to draw the logs to make the barracks. They are to be large enough to hold a whole company. We are living in the letter “A” tents — five in a tent. We have cedar boughs spread in the bottom of the tent and are quite comfortable. I have not been sick a single day yet but have had a slight cold. Am getting over it now. Frank F. Rice, Co. E, 16th Reg., Care of A. C. Mason, Vermont Vols., Washington D. C.
I think I should get it. We have just come in from divine service. The regiment was drawn up in a hollow square and listened to a sermon from chaplain who is a pretty good preacher. We had rather a hard time that cold spell but it is warm as summer now. We live better now than we did for awhile. For about a week we had nothing but salt beef and hard bread. We are encamped in a very pleasant place now within twelve miles of Washington and about two miles from Alexandria. Tell Min that I find that cap she made me very useful. I should not know what to do without it. Mr. [Bartlett E.] White and [Joel B.] Clark are well and full of fun as ever and all of the boys are well as can be expected although a good many have got colds. Tell mother that she [has] no need to worry much about me for I am getting along first rate and enjoying myself pretty well. I don’t have any harder time than I expected to have though we have some pretty rough times. You must excuse the writing for I have nothing but my knapsack to write on. When you write again, please send me some postage stamps for it is hard to get clean ones here. I want you to send me one of your pictures and tell Jule that I want one of hers. Give my love to Florence, Arthur, Aunt Hannah, and all the folks. Write often and tell me all about the things in Springfield. I can not write any more so goodbye. ² Thomas Sexton (1839-1910) was a native of Ireland. 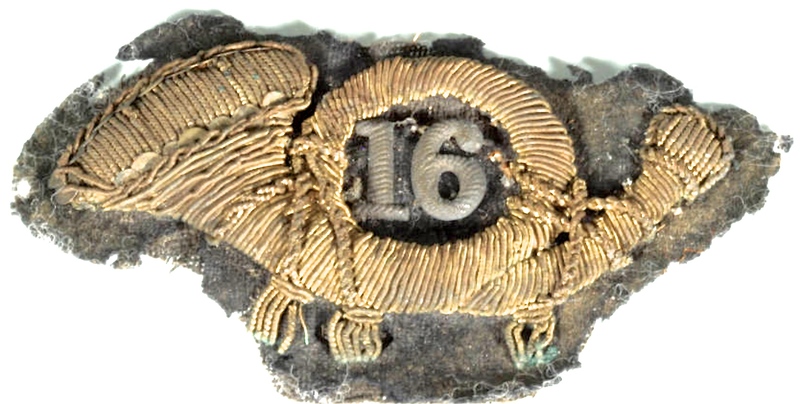 After serving two years with the 16th Vermont Infantry, he served an additional year with Co. I, 3rd Vermont Infantry. I received your letter of the third this afternoon — also the Independent and Ledger. You will see by this that we have moved again. We moved our camp at Bladensburg [Maryland] a week ago today and marched to our present camp marching through Washington and Alexandria. We came about 18 miles that day. We are camped almost in sight of the old Camp “Vermont” where I was when I was in the 16th [Vermont Infantry] and about 4 miles from Alexandria. The order is now for the brigade we are in to go to Louisville, Kentucky and we may start tomorrow. I had rather go there than stay in Virginia. I did not feel any bad effect from the marching either to Bladensburg or here. The fast was observed here. We had services in a large apple orchard near our camp. The chaplain of the 21st New York Cavalry preached. He is just such a man as Mr. Chrickering. I have a testament and read it too for I have not forgotten the night I was at home. As for the letter that father wrote me, it [is] a friendly, polite letter. He said he should be glad to hear from me again. He still continues to blame me for the past and for enlisting. I never got my things from Baltimore. I lost my valise and one or two shirts — that is all. I have not received one cent of pay the government owes me [which amounts to] $266 now. I am getting along as well as usual. I wish you would send me money — it is very hard living on salt pork this [summer].